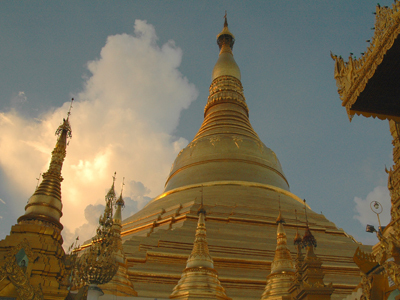 Discover the rich history, traditional culture and natural beauty of Myanmar on a custom week trip of a lifetime! This adventure is sure to fulfill your sense of wanderlust, as you journey through new lands, meet new people and visit unforgettable sights. With daily tours, you will be guided through the country by a local expert, learning new things every step of the way. 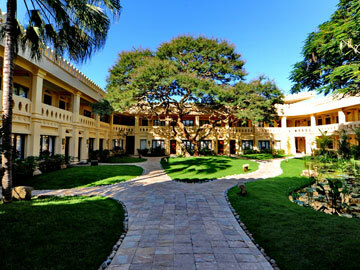 Explore city highlights, marvel at the beauty and glide down the Ayeyarwaddy River. 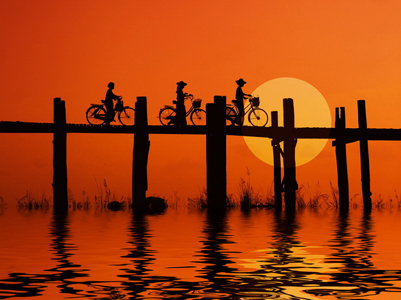 You will be leaving Myanmar with a new understanding, great appreciation and beautiful memories! 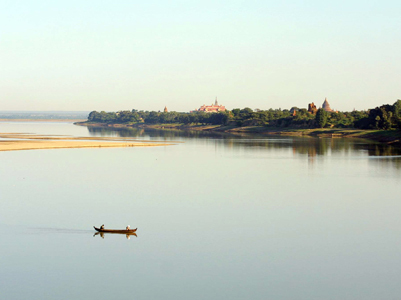 The Ayeyarwaddy river, Burma’s longest, flows north to south from its source high in the Himalayas through the center of the country and empties into the Andaman Sea. It is navigable for about 1,400km (870 miles) from its mouth. Today, you will embark on a cruise down the river, visiting several highlights along the way. 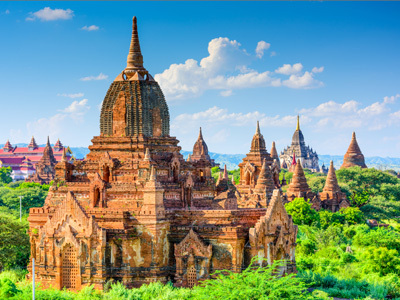 Upon arrrival, you will embark on a full day tour by car through Bagan. 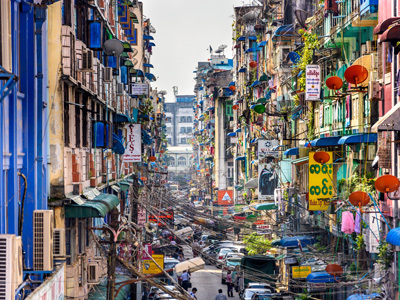 Your experienced guide will show you the best known temples of the area. Start the day climbing a pagoda, to reach a breathtaking view over the entire area. From here, you will explore other amazing temples that have been here for hundreds of years. 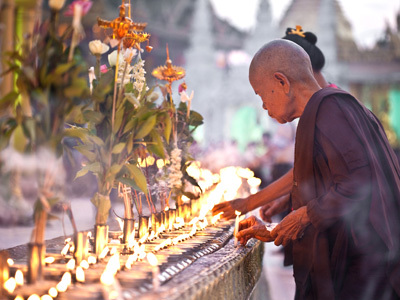 Places like the Ananda, Dhammayangyi, Sulamani, and Thatbyinnyu will certainly impress you. Enjoy sleeping in today, and beginning the morning at your own pace. Waking up in Bagan, will already make for a beautiful day. 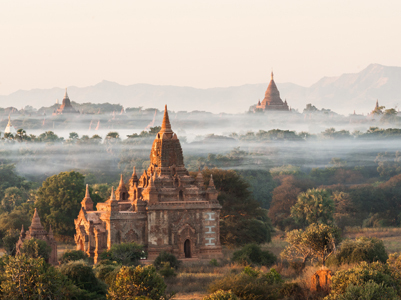 However, if you are interested in an optional early morning excursion, please click on the orange box below for an optional excursion to enhance your time in Myanmar. Sadly, your Myanmar journey must come to an end today. However, you will be leaving with irreplaceable memories and experiences to cherish. Today, you will be picked up at your hotel in Bagan and transferred to the Yangon airport to check into your international flight onwards. We hope you had an incredible trip and we wish you safe and pleasant travels onward! Drawing on the rich traditions of Myanmar’s Bagan region, Areindmar Hotel is nestled among the temples of New Bagan, just south of the city walls of the ancient capital. Featuring 38 deluxe rooms around a large, leafy central courtyard, Areindmar is designed for travellers looking for an oasis of green to return to after exploring the wonders of this historic area. 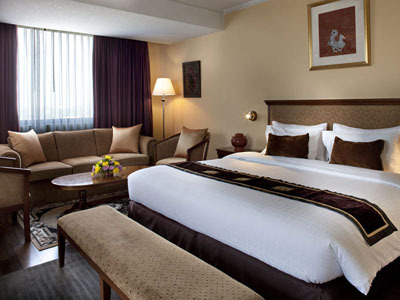 The spacious rooms are flawlessly executed, combining modern amenities with traditional touches, such as local artworks and handmade teak and bronze furnishings.